The standard voltage in Korea is 220 volts at 60 Hertz, and the outlet has two round holes. If you do not have a multi-voltage travel adapter, you may ask to borrow or purchase one from your hotel's front desk. You can also find them at the airport, retail stores, major duty-free shops, and even convenience stores. As the distribution of cell phones, smart phones and related mobile devices increases in Korea, public phone booths are steadily decreasing. However, there are still some public phone booths at popular sites, bus stops, and subway stations. 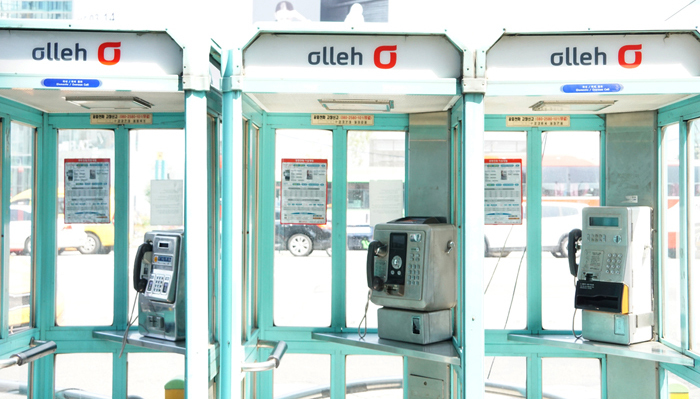 Korean public phones generally provide local and international call services alike with payment accepted by coins or phone cards. Telephone cards can usually be purchased at convenience stores or kiosks near the telephone booths. Payment can also be made with a transportation card, but this option is not accepted at all phone booths so please check in advance. If necessary, dial the number of an international phone call carrier from your country, then dial 82 (country code for Korea), followed by the area code (excluding the first number 0). Finally, dial the phone number you wish to call. First, dial any of the international call company numbers listed below, and then the country code, area code and finally the number you are calling. * International Phone Call Carriers: 001, 002, 005, 008, etc. * Pre-paid Phone Cards: Pre-paid phone cards are available at convenience stores, major drug store chains, and retail stores. 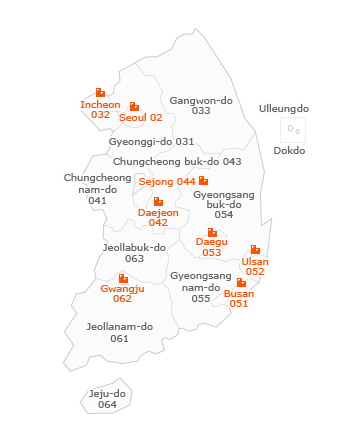 Korea's major airports, including Incheon, Gimpo, Gimhae and Jeju International Airports, have roaming centers, operated by local network service providers. Visitors can get their mobile devices connected for roaming here after a simple registration process. In addition to roaming services, SIM Card purchase, Wi-Fi egg rentals and even smart phone rentals are available. More information about the fees, location of roaming centers and other details can be found on the official websites. Travelers can purchase a SIM card to insert in their personal cell phone device to enjoy unlimited data or receive a personal number while traveling in Korea. These prepaid SIM cards usually cost less than roaming services and offer unlimited data for a period of 5, 10 or 30 days. The SIM cards can be purchased at CU and 7-Eleven convenience stores at Incheon International Airport and Korea SIM Card’s official website. Although they can also be found at certain CU and 7-Eleven branch stores in Seoul and Busan, visitors are recommended to make a purchase in advance via online or at the airport. Internet service is often provided in public places such as airports, train stations, and bus terminals in Korea. PC rooms and internet cafes are also great places to go and they are mostly open 24 hours. Tourists may naturally want to send postcards or letters to their friends and family back home. A few years ago, mailboxes could easily be found on almost every other street and in buildings. These days, finding a mailbox is a bit more difficult because of the Internet revolution. If you cannot find a mailbox, you can ask your hotel front desk to put your letters or postcards in the mail or you can go directly to a nearby post office. 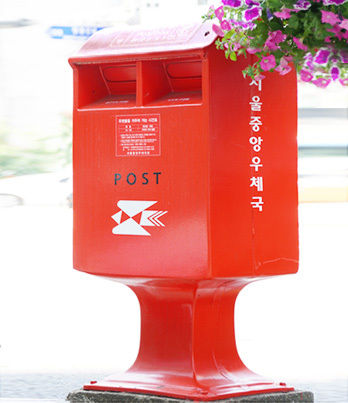 Visit Korea Post for more details on post office locations and service fees.